The crime-fighting canine and his surly sidekick return for their first adventure since 1993's Sam & Max Hit the Road. In this first installment of an annual six-game series, the duo becomes embroiled in a mystery involving former child stars. 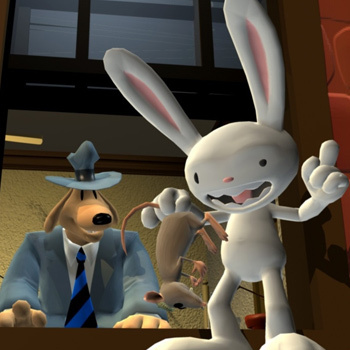 The play style will be familiar to adventure game fans, as Sam and Max are viewed from a third-person perspective while players click on context-sensitive areas within the environment. A number of puzzles and humorous situations will unfold as Sam and Max learn more about their crazed case, requiring players to interact with colorful characters, choose between multiple dialogue options, engage in mini-games, and collect helpful items. Each installment spans an estimated two to three hours in length, with episodes first debuting on GameTap before being available for purchase on developer Telltale's website.